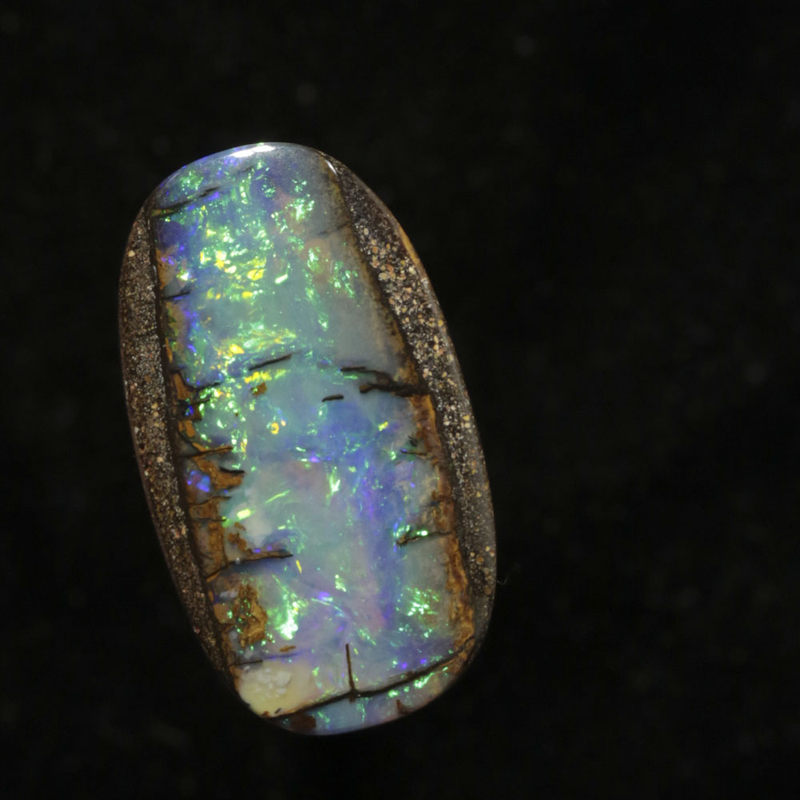 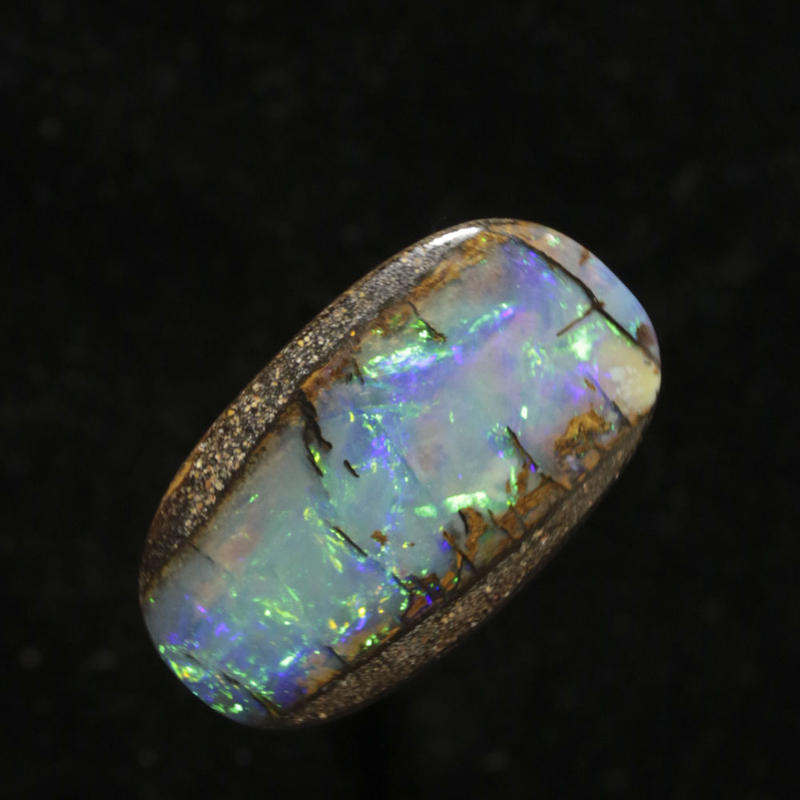 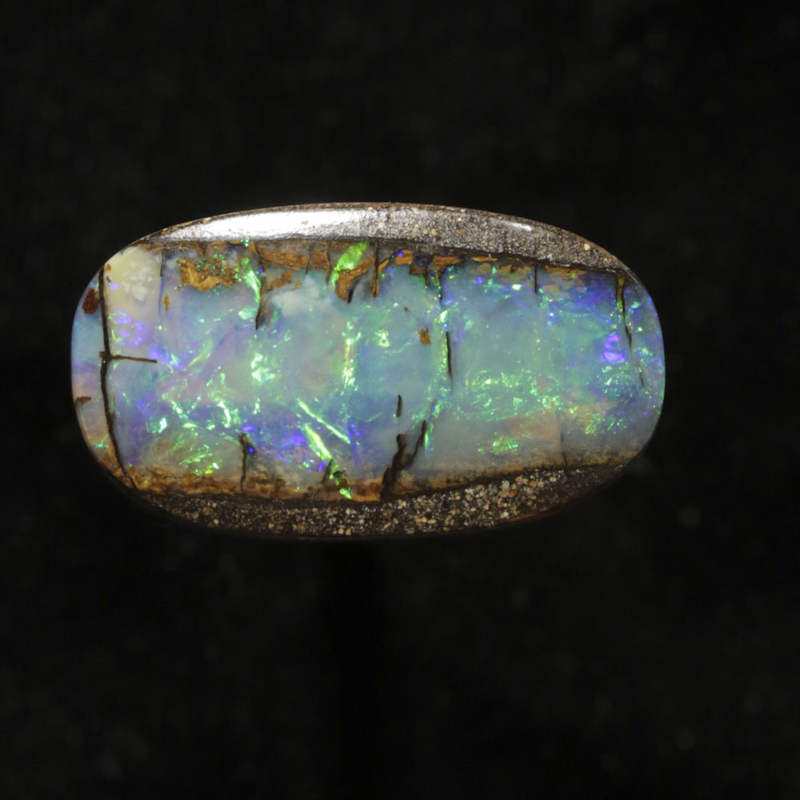 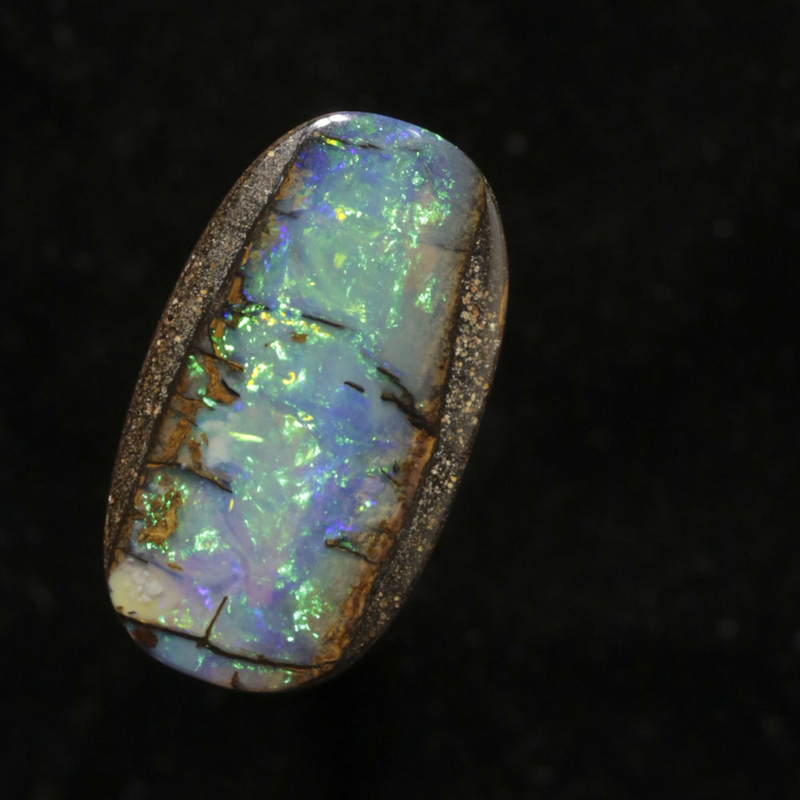 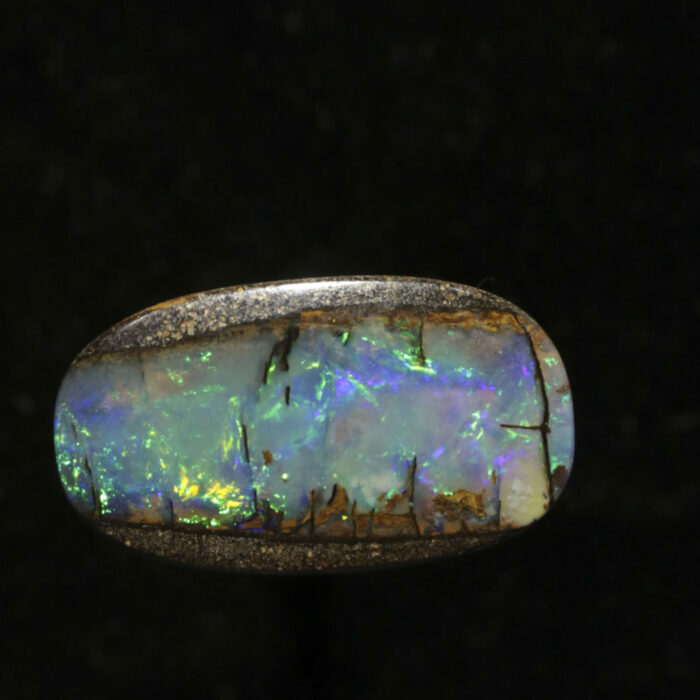 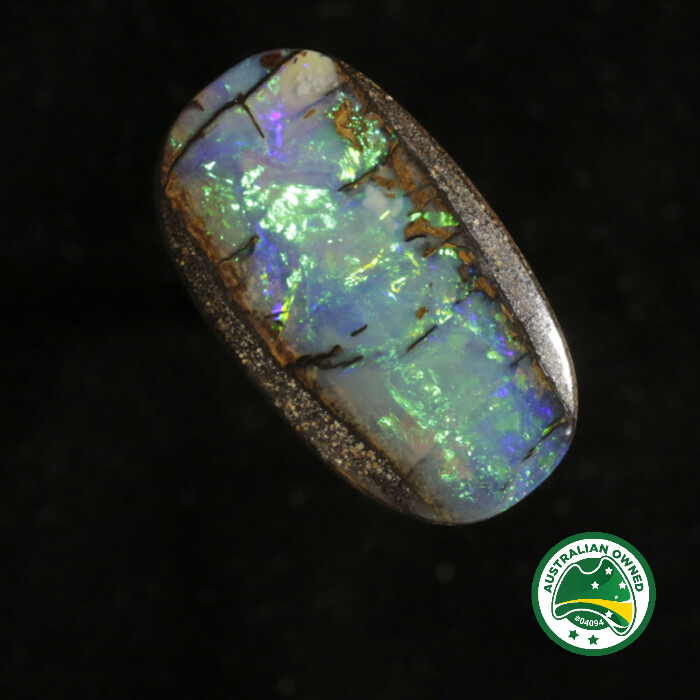 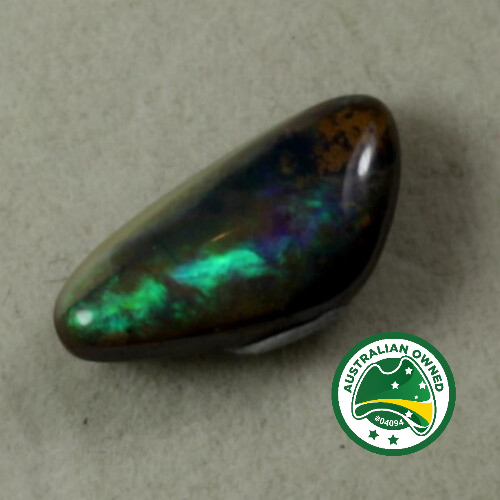 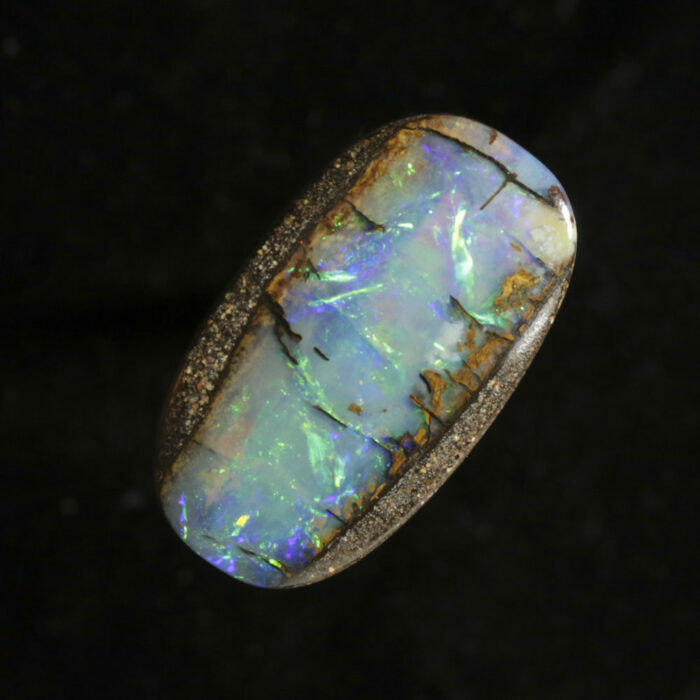 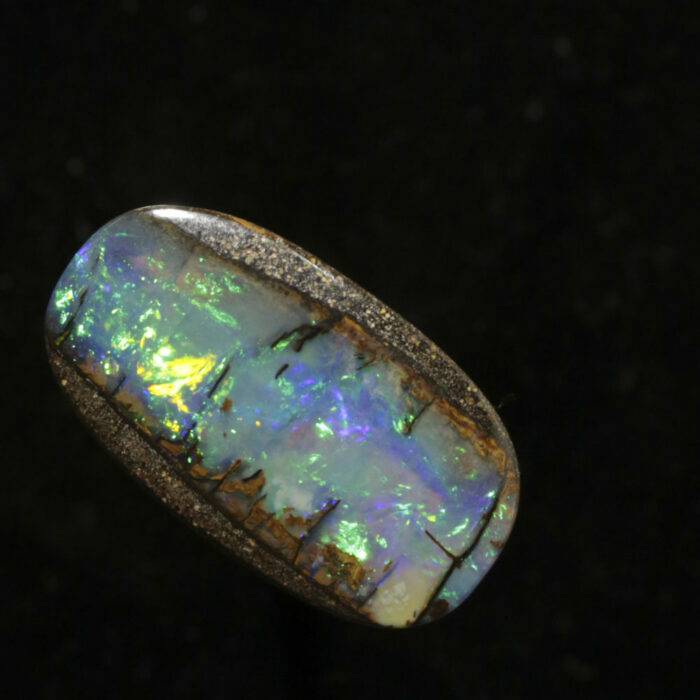 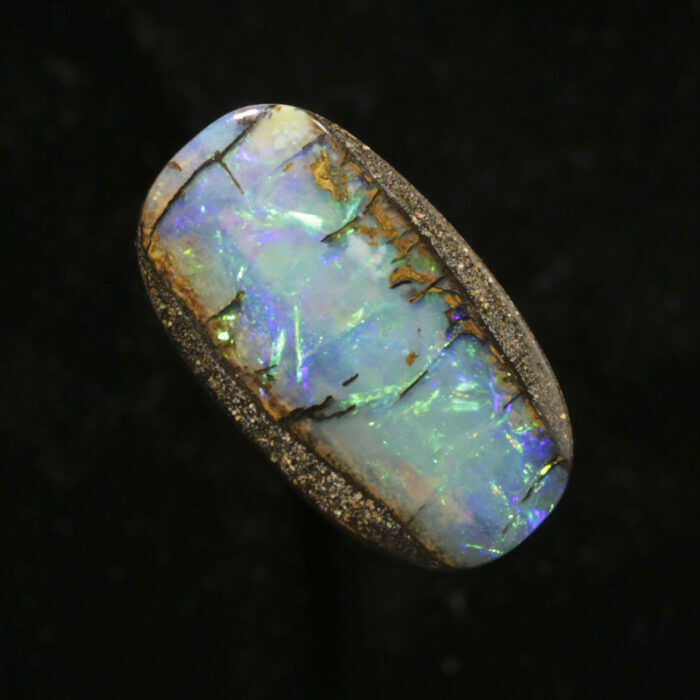 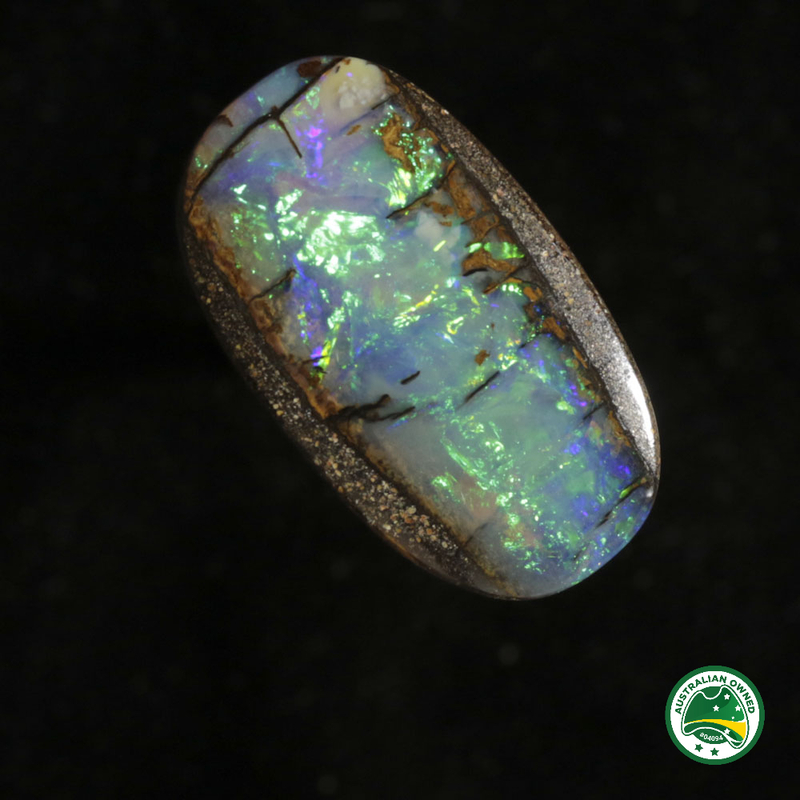 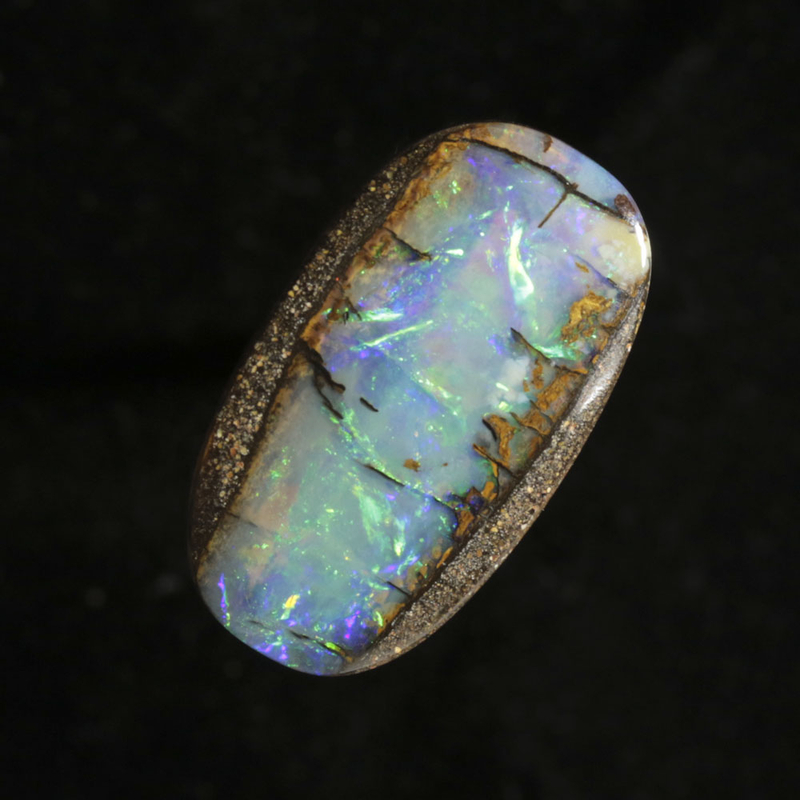 A typical boulder opal that is very impressive to the eye. 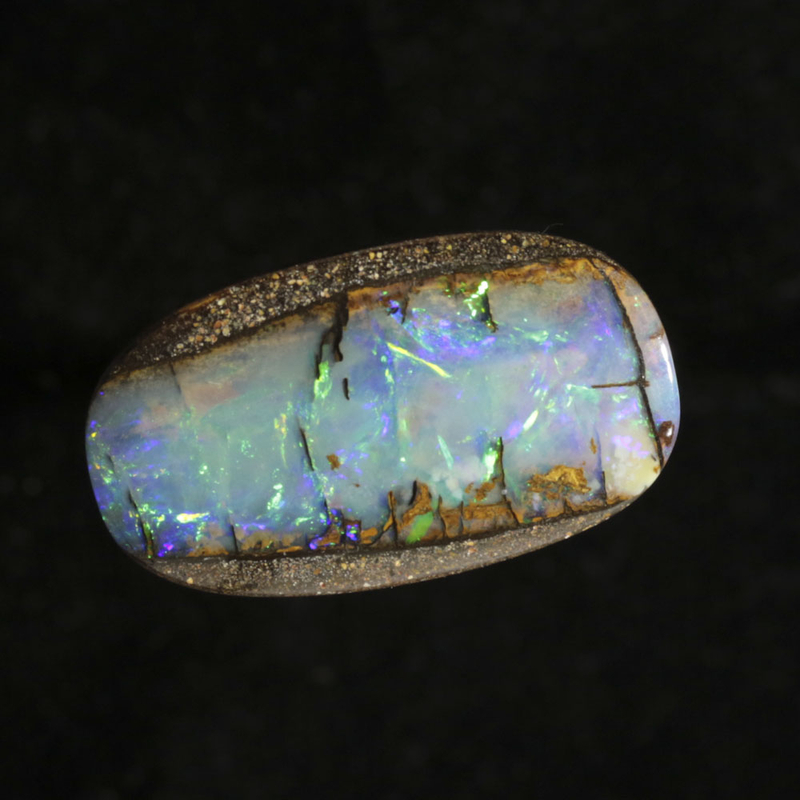 Iron inclusions line the top and bottom of its face. 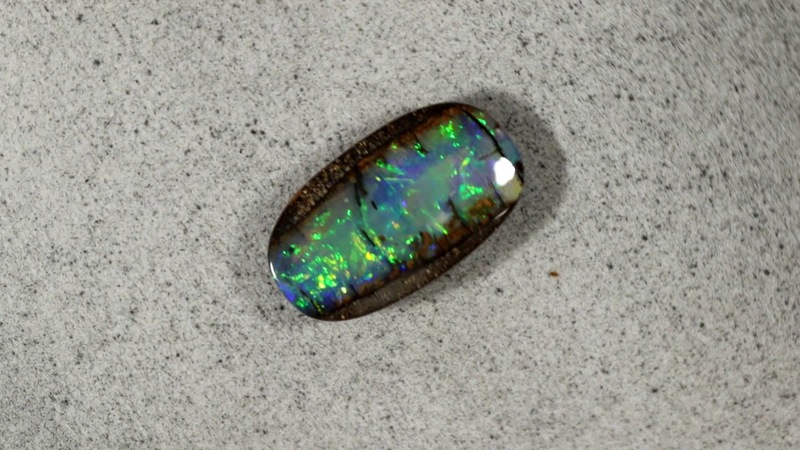 Sharp flashes of electric green and blue move in all directions. Slight tinges of bright orange can be seen on the left hand side.